In this heart-pounding science fiction adventure from William Shatner, debonaire, eighty-year-old director Samuel Lord and the “Zero-G” men are in charge of investigating terrorism, crime, corruption, and espionage aboard the space station Empyrean—and stopping the Chinese from accidentally destroying the Earth. In the year 2050, the United States sends the FBI to govern its space station, The Empyrean. Under the command of suave, eighty-year-old director Samuel Lord, the “Zero-G” men are in charge of investigating terrorism, crime, corruption, and espionage and of keeping an eye on the rival Chinese and Russian stations. NASA is conducting a top-secret project in the agricultural center of the US space station Empyrean, using microscopic robots called nanites to construct a vine that can survive in space. The plan is to grow structural material for an elevator that will reach from the Empyrean and Earth. Unfortunately, a Russian spy inadvertently causes the growth to rage out of control, not only threatening the Empyrean, but the Russian space station Red Giant. Under the guidance of Director Samuel Lord, Zero-G must identify the spy, help find a way to reverse the fast-replicating vine, and manage a form of “space zombie” birthed by the nanites. The surprising solution takes Lord and a Russian pilot on a dangerous mission to Venus—where a shocking discovery awaits. 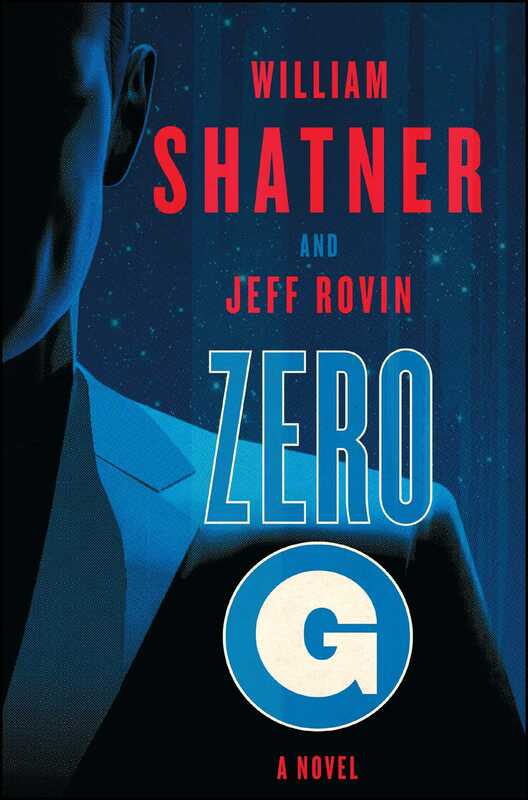 “A tightly paced blend of police procedural, military science fiction, and space opera, set in an intriguing near-future world” (Publishers Weekly), Zero-G is an exciting installment from a master of the craft. FBI ASSOCIATE DEPUTY Director Adsila Waters sat at his desk in the cramped, windowless command center on board the Space Station Empyrean. The comm was the headquarters of what was officially designated as the FBI Off-Earth Investigative and Intelligence Unit. The newly formed division was familiarly known as Zero-G.
Just a year out of Quantico—where he graduated at the top of the FBI academy—Adsila still had that head-of-the-class bearing. His certainty did not come just from learning and following the book but from adding a few footnotes during the eleven months he worked at the Data Intercept Technology Unit at Hoover Command in Washington. He’d had his eye on this job, a space job, since Zero-G was first announced in 2049. To put himself at the front of the line of applicants, he had learned everything he could about FBI operations involving space, especially regarding the hyperplanes that ferried passengers on suborbital flights—what they smuggled and how, sometimes whom they smuggled and how. Adsila had used his vacation and weekends to take flights himself. He had staked out airports and their personnel, learned firsthand about the many ways they communicated information. As a full-blooded Cherokee, raised to respond to human and animal nuance in a world otherwise full of noise, he also saw low-tech things that even seasoned agents missed, from hand signals to fingers drumming code on luggage. At the moment, Adsila was monitoring reports from Earth, scanning intel from Earth-based operatives watching space-bound departures. He was also overseeing the desk staff of three. Adsila’s IC continued to be filled and refreshed with the usual torrent of information, card-size virtual screens accompanied by customized sounds—in this case desert winds and animal life that reminded him of home. Suddenly, the cry of an osprey shocked him to full alert. Adsila watched the public advisory that came with it and immediately activated a channel to his superior. There was no response. Adsila tried again, this time using his full ­title—a mouthful that Lord disliked and disavowed in the same way that he disliked and disregarded the bureaucracy that had coined it. The tweak did not get a reaction either. Lord’s IC was truly off. Again. Janet Grainger looked over from the desk to Adsila’s left. In the two weeks since they’d arrived, the communications director and Empyrean liaison—technically, the Associate Executive Assistant Director—had frequently heard her superior use that tone of voice when communicating with Lord. “Why won’t Director Lord keep his IC on?” Adsila complained. It wasn’t so much a question as a lament. He didn’t expect everyone to live in the Cloud the way he did, but he expected to be able to contact his superior anytime, anywhere. “Agent Waters, what is it?” Grainger called over. Adsila flicked a finger, passing the alert to Janet’s IC. He could have used his eyes to transfer the data; that angry snap was yet another outward show of the impatience he was feeling. “Dear God,” Janet said as she forwarded the news alert to the other agents. This is not acceptable, Adsila thought as he rose. Lord was old enough to have amassed a long list of achievements, and that deserved respect. But seniority did not entitle him to rogue behavior. Cherokee elders honor tribal tradition and instill devotion among the young; why can’t he? “Will do, sir,” Janet replied. As Adsila strode toward the door his focus was already turned inward. Neuronic bursts blazed in the paraventricular nucleus of the hypothalamus. And then he did something that Janet had not yet gotten used to. As Adsila moved, the nearly six-foot-tall pan-gender shifted into his dominant female gender. Adsila had found it useful—at times ­necessary—to make her way through Quantico and HooverComm primarily as a man. It was less of a distraction than being stared at. But her hourglass figure, strong cheekbones, and frank sexual allure made it easier to maneuver quickly through a group comprised predominantly of men. They seemed to back away like desert dust devils, no less silent and full of wind. The transition happened swiftly. The visual aspect of the change was controlled primarily by fluid redistribution—quick, sure, and delicate. Breasts and hips formed like blown glass. Adsila’s biological sexual flip was achieved with a migration of reproductive organs that had been genetically engineered in the womb. The smart fabric of the FBI tunic adjusted. The switch was accomplished without Adsila breaking stride, though the dynamics of her walk shifted noticeably. None of the other three team members acted as if they’d witnessed anything. And why should they? Janet thought as she turned back to her feeds. Space, after all, was the abode of miracles. Kristine Cavanaugh never imagined she’d be disappointed by space. But the trip had not been what she’d seen or pictured. It had been a crush of noise, stale air, delays, and human proximity that bordered on cow-herding. And then, with other attendees, she was hustled from the ferry to the observation bubble in which the ceremony was to take place. “Are you ready to hear a few dozen words in a dozen languages by a dozen speakers?” asked the American colonel standing beside her. She nodded carefully, still unaccustomed to the lack of gravity. “It will be gross upon gross,” the man joked. The twenty-one-year-old chuckled even though it wasn’t funny. After working for two years as a professional companion in Washington, D.C., that reflex came naturally. Now, a little over an hour after landing and tidying up in a small guest room, she was at the cocktail party in a comparatively spacious salon. It could have been any hotel ballroom in any venue in the American capital on a starlit night, and Kristine Cavanaugh was not only disappointed, she was bored. The speeches were over and the mingling marked the end of the ceremonial phase and the beginning of the careful maneuvering and in-fighting. That game was bad enough in federal buildings on Earth, worse in the close quarters of a space station. After the speeches, Kristine’s frequent employer, Colonel Jack Franco of the Defense Intelligence Agency, had essentially forgotten that she existed. Given her assignment, she was in no position to insert herself at his side. Her job was to help the officer impress others. Judging from the occasional looks from men and women, all of which she discreetly avoided, she was succeeding. Knowing no one else, the petite, shapely blonde took her white wine and drifted toward the reception area. The server, smiling a little patronizingly, had guided her hand away from the mouth of the wine bottle, down to its heel, and poured in a startling arc that swept backward into her glass as if bent by a gale. Now she looked mistrustfully into the goblet, where the wine torqued and roiled weirdly whenever she turned. She wondered if the same thing might be going on in her inner ear too, as the floor—though unmistakably flat—challenged her high heels like a steep hill, and every movement of her head brought a little swirl of vertigo. Well, that’s an interesting discovery, at least, she thought. She wondered if her blood was doing the same dance, making her sour, or if space really was a disappointment. Except for the few bright, hardy stars visible through a surprisingly narrow stretch of glare-washed windows, there was nothing to see outside. So her blue eyes moved impatiently from one guest to another, like a bee zigzagging through a garden that had already been sucked dry of pollen. She recognized a few from the trip up, two from past liaisons, though as far as she could tell, none of the plus-ones had been introduced to the actual guests. The guests. A human stew of meat and spice but very little nutrition. Bodies low on charisma, charm, and energy. There was a florid oak of a man with black eyes on a chipped marble face beneath a reddish crew cut. He was wearing a severe dark red uniform with dark purple accents. He was talking to a dark brown man in a Nehru jacket and a tawny-skinned gentleman with a full beard and sheik robes. They were clustered in a cabal-like circle that did not invite outsiders. Her gaze flitted to a bald man in monk robes, who had a calculating look on his face. Opposite him, apparently watching him closely, was a blank-faced woman wearing a severely tailored olive uniform. Watching her in turn was a tall man wearing a white uniform with black accents. A Mexican general, he was the only one who seemed happy to be here. The inexpressive woman moved away. A moment later, the Mexican officer left too. Ah, she realized. A space liaison. Romance under the stars, minus the stars. There were other faces, a few loud voices, and an occasional nod and smile from a passerby. Precipitously close to forcing herself to mingle, Kristine suddenly shifted her attention to a man whom the general’s departure had revealed. He was attentively listening to two American military men in the far corner of the room. He looked and acted different from the others. Kristine maneuvered toward him. Most of the men in the room were statue-perfect and vulpine-eyed. They were all jockeying for the attention of those who could help them, ignoring those who could not, and avoiding those who could do them harm. This new man was considerably older, a little squatter, and a little thicker than the rest. Thicker, but clearly fit and muscular. He was wearing a collarless blue suit over a dark red tunic and a healthy suntan; he had not been up here long. The man held what looked like a vodka on the rocks in one brawny hand while the other hand was tucked in the small of his back. She stared openly at it. There was something about that hand . . .
Before she was completely aware of it, the man had excused himself from the others and stepped toward her, fixing her with those lively gray eyes, which were set under a swath of steel-wool hair. “First-time spacer,” he said. It wasn’t a question. “I saw you watching your wine before,” he said. “You did?” She felt stupid. Of course he had. “Not the worst you could have,” she said. “Oh, I’ve got some of those too.” He chuckled. Kristine’s eyes fell back to her glass. She wondered if he knew that she was avoiding his gaze. She looked into so many dead or hungry eyes on the job. These were like a beacon of humanity in the cold of space, an antidote for the impersonal hustle of this room. If she looked too long she might not want to leave. That could be bad for business. Besides, she didn’t even know who he was. “I’m Sam Lord,” the man said as if reading her mind—or more likely sensing that she was adrift. He extended the hand that had been behind him. “Kristine Cavanaugh,” she replied, shaking it. “Not that I blame you,” he went on. Kristine started to laugh then quickly stopped herself, looking back furtively to make sure Colonel Franco hadn’t heard or noticed her. He was still too busy to care. “Your date?” Lord asked, following her gaze. Kristine nodded but did not elaborate. Kristine chuckled—the laugh was in earnest with him—as she looked out at the sixty-odd people. It was a strange modern dance they were all doing. Each person stood as if they occupied some other distant room and feigned their presence in this one. Virtual gestures caused real hands and fingers to go slack, as people engaged in IC conversations with invisible correspondents. She noticed one man having two concurrent tête-à-têtes, one conducted with moving eyes and the other using subvocal cues, relayed to ICs that could be anywhere on the space station, Earth, or the moon. “They’re all busy forming Cloud alliances while they talk to the warm bodies in the room,” she said. “But not us,” she said. “Is that a specialty of the house?” she asked. She shook her head politely. Before the waiter moved on Lord took a second cracker. “Even pulped, these are a rarity up here,” he explained. The woman looked down as if overcoming shyness. That wasn’t it, given her profession; she was giving herself permission to engage with someone other than the man paying her. “You know what my greatest fascination is?” she finally asked. Kristine nodded. She felt safe here with Lord too . . . dammit. She looked away again. “We can tell him I bored you, that you couldn’t wait to get back,” Lord said impishly. Kristine stopped avoiding his eyes and smiled at him. The man’s hand moved to her back now, a warm, comforting touch as he drew her toward the salon’s low, parabolic doorway. They drifted through the crowd, through the bazaar of buyers and sellers of power. Kristine had enough of that on Earth, and was glad when Lord didn’t linger but headed back into the observation bubble, now occupied by only maintenance and cleaning staffers. She breathed easily for the first time since arriving. “Actually, I live here,” he said. “Impressive,” she said in earnest. “You do not seem like a man who can be outvoted,” she said. “That’s where the casinos are?” Kristine said, pleased that she didn’t have to check her IC for that. “Where the casinos are, yes,” Lord repeated, a little sadly. The last of the legitimate Broadway theaters had closed in 2040, replaced by smaller off-Broadway places. Kristine brushed away the Glossator function that had automatically translated the Latin. She studied Lord for a long moment. “I think I can spare a few more minutes,” Lord said, looking back at the crowd that was now fully involved with itself. Even the usually standoffish Stanton was socializing. He tapped a small pin on his jacket. Kristine looked at it closer. It was a small G on a blue background encircled with a white ring. She smiled evasively. “Not yet. Maybe when I’ve had a little more to drink,” she said, holding up her nearly empty glass. 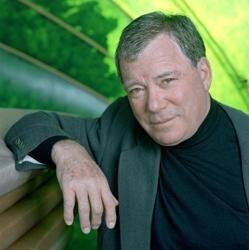 William Shatner is the author of nine Star Trek ® novels, including the New York Times bestsellers The Ashes of Eden and The Return. He is also the author of several nonfiction books, including Get a Life! and I’m Working on That. In addition to his role as Captain James T. Kirk, he stars as Denny Crane in the hit television series from David E. Kelley, Boston Legal—a role for which he has won two Emmy Awards and a Golden Globe. Find more information at WilliamShatner.com. Jeff Rovin is the author of more than one-hundred books, fiction and nonfiction, both under his own name, under various pseudonyms, or as a ghostwriter, including numerous New York Times bestsellers. He has written over a dozen Op-Center novels for the late Tom Clancy. Rovin has also written for television and has had numerous celebrity interviews published in magazines under his byline. He is a member of the Author’s Guild, the Science Fiction Writers of America, and the Horror Writers of America, among others.